The most important step after purchasing a hosting account is to create your website! It doesn’t matter if it’s one page, beautiful artsy site, complex eCommerce system, or a family gallery – HostPapa has got you covered! In this section, we’ll cover how to install and manage WordPress on your hosting account, how to create your new website using our Website Builder software; how to upload or migrate your existing website, and how to create a temporary page while your website is still in development. Did you know that WordPress powers 30% of the top 10 million websites on the Web? There’s a reason for that, and it’s related to the fact that WordPress is easy to set up, manage, and update; can be used for any type of a website (from a simple blog to a powerful news portal), and can be extended by a massive amount of free and paid plugins and themes. Additionally, you can use WordPress Manager software in cPanel control panel to keep it updated at all times. 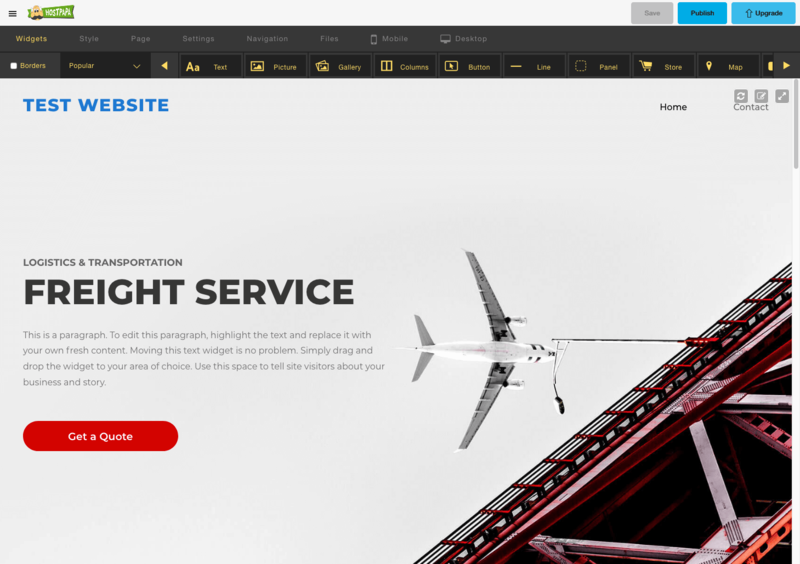 If you’re more of a Do-It-Yourself person, HostPapa provides a free Website Builder software to enable you to use your imagination to build your website. From a couple of pages to complex eCommerce platform – you can do it all! We even provide easy to understand step-by-step instructions, which make getting your website up and running more comfortable than ever! You can learn more about how to get started with our excellent Website Builder here. If you already have a website, then HostPapa got you covered! We offer a free website migration from external hosts to your hosting account with us! Please check the following article for more information on how to get started. 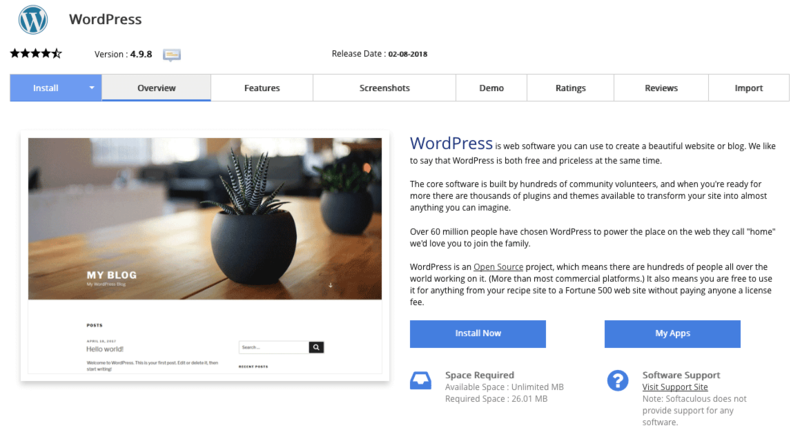 If you have your WordPress website hosted locally on your computer, and you would like to transfer it to your hosting account with us – we have prepared a detailed guide on how to do this yourself. We also have a detailed tutorial on how to upload your website files to your hosting account using one of most popular FTP clients – FileZilla. DNS is hard, right? Well, it doesn’t have to be! We developed a detailed guide on transferring domain vs simply changing DNS settings, which you can find here, so you can decide how you would like to proceed. To help visitors find necessary information about your business while your website is still in development, we provide you with Site Publisher software located in your cPanel control panel. 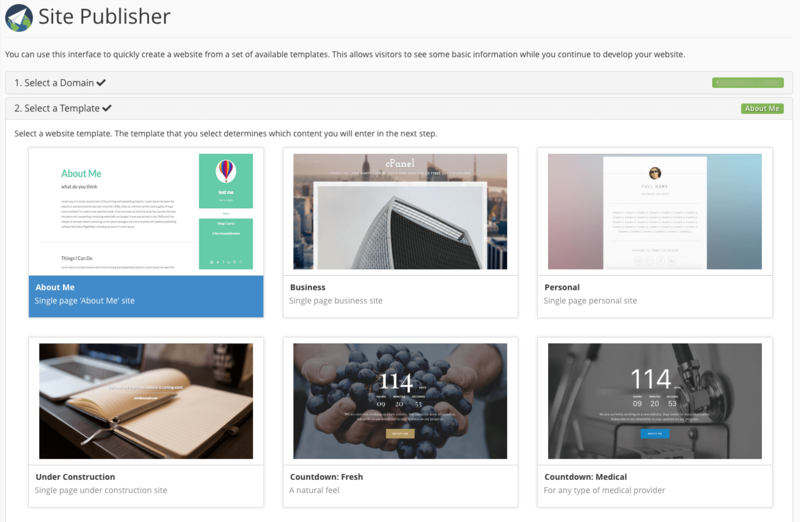 With Site Publisher, you can use pre-made templates and customize them to your liking before publishing them to your website. That way, you won’t lose any traffic while your site is in production and you can keep your visitors up to date. Back to Table of Contents — Next Article: Finished building your website?